Recently, I was given an opportunity to preach about who we are in Christ to a group of believers in church. The Holy Spirit led me to preach on the topic 'Abiding in Christ'. Since, you were not all present during my teaching; I would like to exhort you with the same teaching. I am the true vine, and My Father is the vinedresser. Abide in Me, and I in you. - To abide is: to dwell somewhere, it means to stay, to be situated within, to inhabit something, to live. - God wants you to dwell with Him, God wants you to live in Him. ***Abiding in Christ, therefore, means to draw supernatural strength from the presence of the Lord and walk moment by moment in the leading of His Spirit** (alookintomymind.wordpress.com/2012/08/07/abide-in-christ/). Why do You need to abide in Christ? Jesus laid emphasis on the importance of abiding in Him in verse 4, 5, 6 and 7 of John 15:1-8. 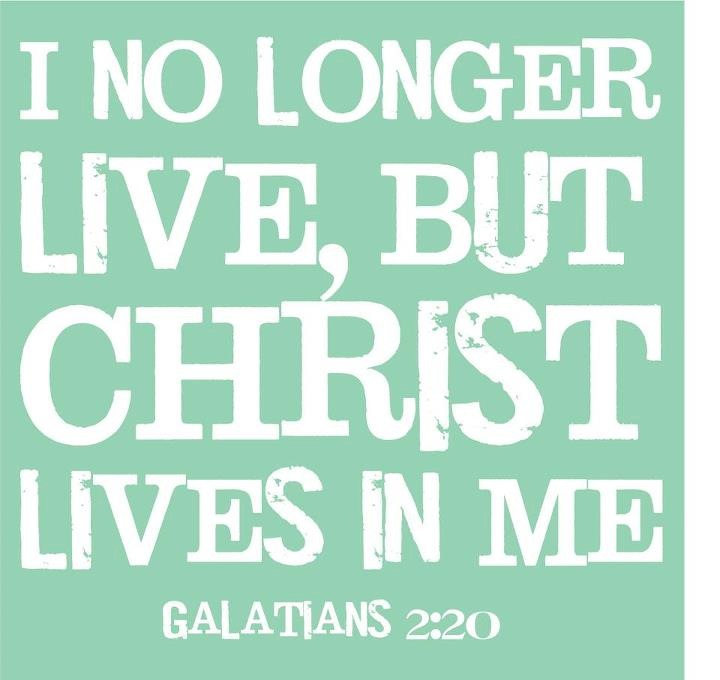 God's Word Bible translation explains it in a clearer manner, it says: "Live in me, and I will live in you. A branch cannot produce any fruit by itself. It has to stay attached to the vine. In the same way, you cannot produce fruit unless you live in me. “I am the vine. You are the branches. Those who live in me while I live in them will produce a lot of fruit. But you can’t produce anything without me. Whoever does not live in me is thrown away like a branch and dries up. Branches like this are gathered, thrown into a fire, and burned (John 15:4-6 GW)." When You abide in Christ: 1) It helps you to stay closer to God, 2) You will be able to live a life that He expects you to live 3) A holy life, 4) An acceptable life unto Him, 5) A focused life, 6) A life free of worries, 7) A life full of positive thoughts 8) Your prayers would be in line with His Word, 8) You would be clear about His purpose for your lives. - God expects you to only abide in Jesus Christ as the true vine. It's a commandment from God, He said the only way that you can be put right with Him is for you to live according to the ways of Jesus Christ. 1) Lay aside self-dependence and rely on Christ. In John 15:1-5, Jesus introduced Himself as the vine and we are the branches. He wants you to rely on Him totally. - In the account of Simon Peter and Andrew (Mark 1:16-18), Jesus told them to follow Him as He was going to make them fishers of men. The Bible recorded that, they immediately left their nets and followed Him. This suggests that they left their weights and followed Christ. Are you aware of the weights that are affecting you from abiding in Christ? Could it be laziness, not managing your time very well, trusting more in your own ability than of God, etc. After you have laid aside those weights, you then need to trust in God. Proverbs 3:5 says that you should trust in the Lord with all your heart, and do not lean on your own understanding. In all your ways, acknowledge Him and He will direct your steps. Learn to trust in God with every little thing. Let God be your burden bearer, let Him be your friend. The trust should not be temporarily, it should be forever. The Bible says in Isaiah 26:4 that you should trust in the Lord forever, for the Lord God is our everlasting rock. Trusting in God would strengthen your faith in Him, it would also help you to be humble as you would appreciate what God is doing and what He has done. The Hymn-writer said that: trust and obey, for there is no other way to be happy in Jesus but to trust and obey. The Bible says in Jeremiah 17:7 that blessed are those who trust in the Lord and have the Lord their hope and confidence. Summary 1: God abides in those that put their trust in Him at all times and those that lay aside their own wisdom. 2) Cultivate a relationship with Christ: To cultivate is to foster the growth of something. Purposely and consciously foster your growth. Philippians 2:12 says that you should work out your salvation with fear and trembling. Let's read the amplified version. "Therefore, my dear ones, as you have always obeyed [my suggestions], so now, not only [with the enthusiasm you would show] in my presence but much more because I am absent, work out (cultivate, carry out to the goal, and fully complete) your own salvation with reverence and awe and trembling (self-distrust, with serious caution, tenderness of conscience, watchfulness against temptation, timidly shrinking from whatever might offend God and discredit the name of Christ). (Philippians 2:12 AMP)"
A) Start believing that Christ is already residing in you - He is not far away from you or He is not only residing with someone that has been Born Again for 20 years. B) Create time to know God through reading your bible and prayer. Do not neglect God's Word. The secret to abiding in Christ is studying the Word, and practising the Word of God. David said in Psalm 119:11 that Thy word have I hidden in my heart that I may not sin against thee. How precious is the word of God to you? What are you hiding in your heart? Sometimes laziness may affect our reading and prayer lives but we must make a conscious effort to study the bible individually or with other believers. C) Spend time with those you admire their relationship with Christ. Jesus spent time with God, Elisha spent time with Elijah, Gehazi spent time with Elisha, Timothy spent time with Paul, Paul spent time with Aquilla and Priscilla. As you follow them or look upto them, remember to always cross check everything with the Word of God. Watch out for Part 2 of this post. It has been published on the blog.